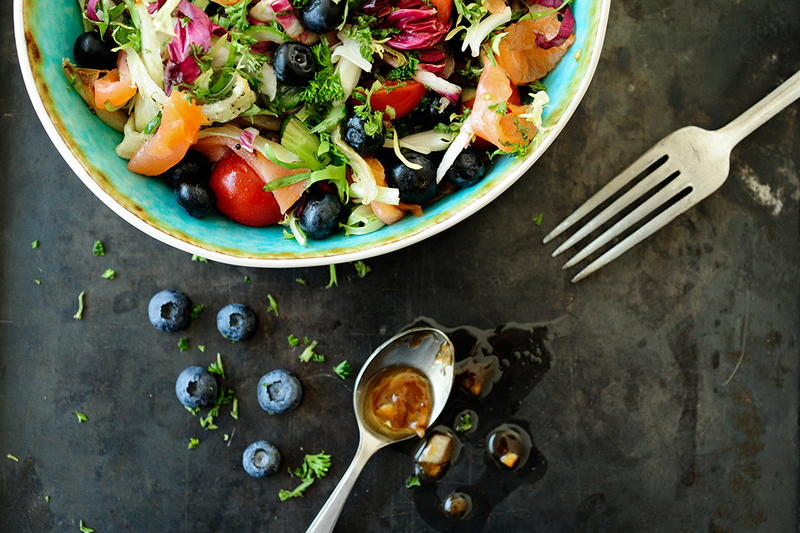 Smoked salmon salad with grilled fennel and fresh blueberries, drizzled with blueberry vinaigrette. This sweet vinaigrette is the perfect match with the salty salmon, that combo makes the salad divine. For the dressing, I used the Belgian blueberry stroop but you can use marmalade or some thick blueberry syrup. Cut the fennel into thin slices and bake it with oil in a hot grill pan until tender, season with salt and pepper. Cut the cherry tomatoes in half, slice the cucumber and onion. Cut the salmon into strips. To make the vinaigrette, just whisk all the ingredients together in a bowl and season with salt and pepper. Arrange the salad on the plates, add the chopped vegetables and salmon. Then garnish with fresh blueberries, walnuts and chopped parsley. 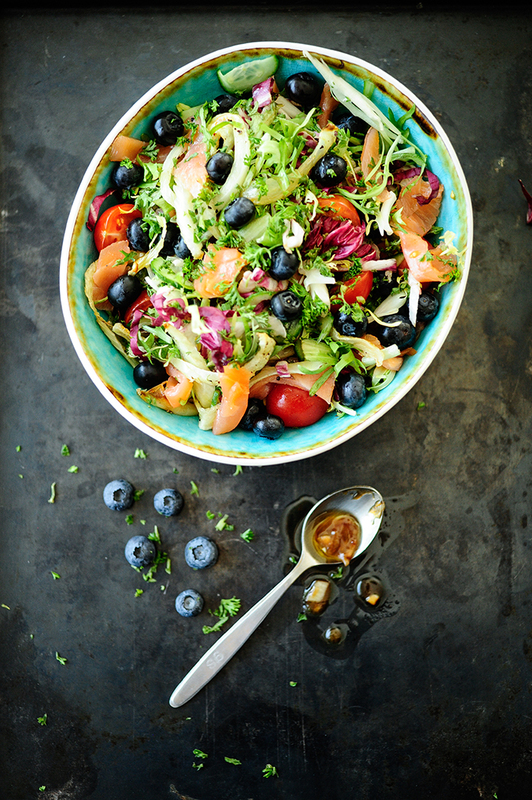 Serve with blueberry vinaigrette. Enjoy!